Offering high quality work and competitive pricing in plumbing, heating & air conditioning and restoration & flood services, the Bill Howe Family of Companies is not only a company of success stories, but is one of San Diego's largest commercial and residential property service and repair companies. Services offered include: plumbing installations and repairs, drain cleaning and repair, sewer camera inspections, epoxy sewer lining, water filtration, backflow testing, slab leak location and repair, tankless and traditional water heater installation and repair, heating and air conditioning installation and repair, duct cleaning, and air purification. The company also offers services in water mitigation, mold removal, structural drying, carpet cleaning, and reconstruction. 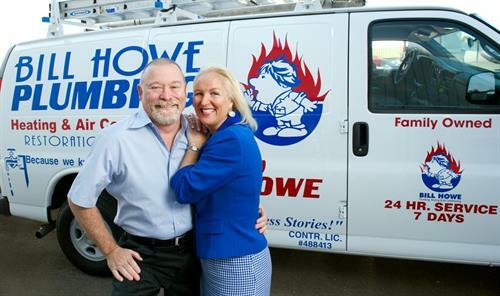 Bill Howe Plumbing, Heating & Air, Restoration & Flood Services is a San Diego based family-owned and operated company and strives to be the most reliable service company since its inception in 1980.